Heat Treatment Companies in E TN?? Are there any heat treatment companies in or near E TN? 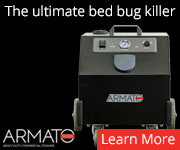 I've got an infestation of bed bugs that is currently being treated by a regular PC co. and after two treatments it's still not 'taking'!! First treatment was about 10 days ago with followup four days later. We have encased the box spring and mattress and done additional spraying but are still finding adult and baby bugs in the bed. As far as I can tell, the closest heat treating co. in either in Chartlotte, NC or Spartanburg, SC. Can anyone help?? No, i don't have an specific info on that area but i have this link. What part of E TN are you in? You're the first other person on here that I've found from our state, I'm sorry you're here! 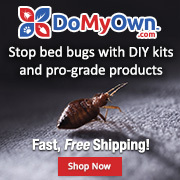 On the website http://www.bedbugresource.com, there is a spot where you can look for PCOs they approve/see as knowledgeable about bedbugs in your area. There are a few in Tennessee they recommend, and some of those are in the eastern part of the state, so hopefully one is somewhat close to you! I looked for thermal when I had my BBs, but I don't think that it is available yet in our state. There are also not any reliable BB sniffing dogs in our state yet. It is a slowly growing but definite problem here, especially in tourist towns, and you know that while I LOVE living in Tennessee, we are sometimes slow to admit when a problem like this is here. I'm sorry that I've rambled so much. Please don't hesitate to PM me with anything specific about TN, or to post back here with any questions you have; there are many VERY knowledgeable people who read and post here. Read through this site. It will help. And believe me it does get better. 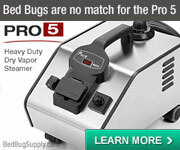 I am west of Knoxville and I hired a co. called Enviro Pest Control out of Sevierville, TN with a guarnateed treatment for $450 with three followup treatments at $45/ea. 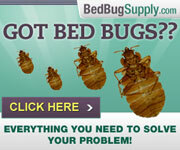 Today we found bedbugs after they ahd completed treatment. They treated the entire house but concentrated on the master BR where the worst were. They only did a cursory treatment of the rest of the house. 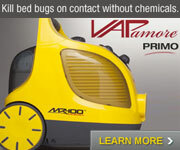 We declared the treatment successful whe a week after the last treatment we had no bugs in the MBR. My granddaughter came up this week and is eaten up with bites. We thought they were flea bites because she has a small pack of dogs at home. And then the wife found bed bugs on the couch brought out by the warm fall sun coming in the front window. Apparently with teh a/c off, they have reemerged. When I called Enviro and informed tghem, they said it would be an additional $450 "setup" fee!! 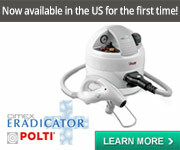 A fantastic guarantee when the treatment lasted 6 weeks. I'm trying to file a complaint with teh BBB but their website is busy. Just beware of Enviro. I talked to a co. in Spartanburg and they will come jup and trat the entire house for $1200. That looks like the route I'll have to go. There is a Company that has the best set up i have ever seen. We used them in Hattiesburg Mississippi. on a commercial building. about 4000 square feet. they took the place to 150 degrees in about 2 hours and held it there for 8 hours. The mans number 678-764-2429 ask for tre. 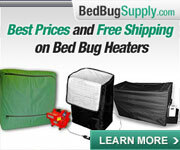 I suggest the link Bed Bug Epidemic suggested. There, I posted links to two of the largest heat treatment technology providers (ThermaPure and Temp-Air), and each provides a way of finding a local company. If both types of firm are represented near you, I would call BOTH and ask about treatment, their experience, pricing, etc. Then you might discuss with people here whether they prefer one or the other (an old chestnut of a forum discussion if ever there was one). However, why not see what your options are first? I am also in East TN and was wondering the same thing.. A PCO a few weeks ago quoted me $1400 to do a full hear treatment and my landlord refused to pay for it and we are a single income family with a toddler and cannot afford it after spending $400+ ourselves on sprays and DE. Check the laws in your area, it's possible he does have to pay. 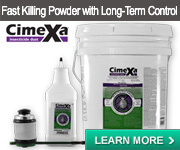 But if you have to do it yourself Cimexa works much better than DE and is also cheap. Thank you for your reply Livingagain. I didn't realize this post was 7 years old until I had already responded.